In a nutshell, the program is shifting more towards a “shareware” model. Here is exactly how it will work now: * When you run the program, it will operate normally. That is, it will find your deleted files, show you previews, etc. 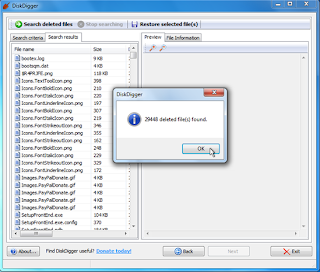 * When you try to save the deleted files, the program will show a message box asking you to enter a license key. * The program will actually let you continue without a license key (after a short delay), but it will keep popping up the message box for every file you try to save without a license key.